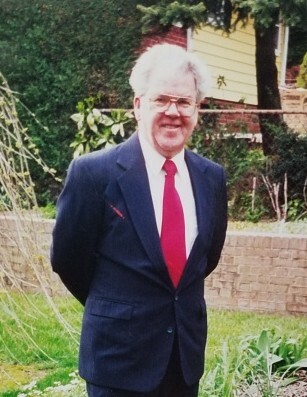 Obituary for Hermann J. Hambach | Donald V. Borgwardt Funeral Home, P.A. “Hermann the German” Hambach, a man of deep honor and few words, passed away peacefully at his home on Monday, September 17. He was surrounded by his girls - his wife, Christine, and daughters Heidi Wood and Monica Bagley as he would have wanted it to be. Hermann, an immigrant from Germany, preferred the quiet of his home, a comfy recliner and a cold beer. He loved tennis, soccer and playing cards (preferably Skat or Pinochle) and was a very talented wood worker. He was inducted into the WBC Hall of Fame for his outstanding work in 2009. His connection to Germany continued through his membership in the Washington Sängerbund and the Concord Club of Washington DC. He will be deeply missed by his wife of 57 years Christine Hambach, daughter Heidi Wood and her husband Rick Wood, daughter Monica Bagley and her husband, John Bagley, grandchildren Brian and Christine Wood and Piper and Colten Bagley, brothers Ludwig and Winfried Hambach and sister Marianne Kister, as well as countless wonderful extended family and friends. In keeping with Hermann’s wishes, funeral arrangements will be private and for immediate family only. In lieu of flowers, any remembrances can be made to The Crohn's and Colitis Foundation.